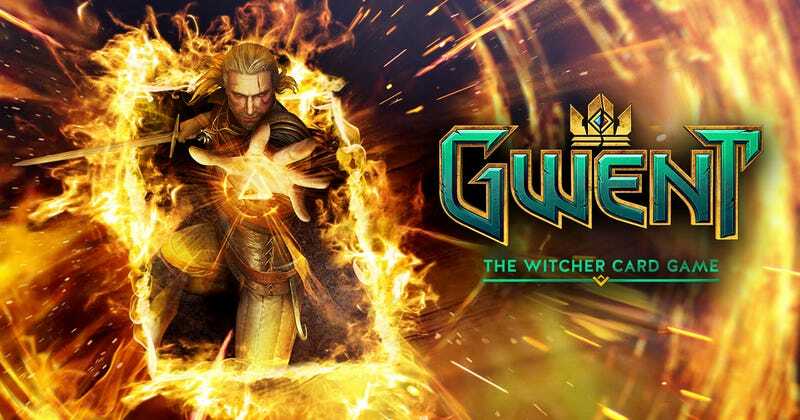 With Gwent: The Witcher Card Game exiting out of the safety of closed Beta and entering into the wide world of Open Beta now is the perfect time I though to give some tips for people who might be curious on where to begin. One complaint I’ve seen a lot during my time playing with new players is how unprepared they are for the radical differences between the standalone Gwent and the game found in The Wild Hunt. Before playing you basically have to forget all you knew about this game, as they are so radically different as to be incomparable. Funny enough with changes coming in the Open Beta this could be good advice for Closed Beta players as well. It is Okay to be New - Gwent is not that Unforgiving: You may have heard in comment sections “you need to pay to win” in Gwent. To be blunt these people are wrong. Gwent is a surprisingly forgiving game if you are willing to put some time and effort into it. This is because Gwent is quite liberal (for now) at giving away currency, crafting materials, and key cards directly to the player. I won’t explain the system as there is always the potential for change, however if you put in a little bit of time and effort you can quickly build a playable deck. Understand the Leaders and How they are Different: This is one of the key elements to being successful in Gwent. The ability to see a players leader, first few cards, and know exactly what they will try to do. Gwent is a game of counters being able to do this is an amazing skill to have and is what separates those who dwell in low ranks from those who can climb to the middle. Sadly the best advise I can give to you here is it comes with time, luckily with the game wipe coming all those killer decks won’t be available right away and may even be completely obsolete based on the changes CD Projekt Red is implementing. New decks will certainly be found pretty soon in the ranked matches though, though luckily unranked matches will likely be a refuge for new players, at least for a time. Find your Style and your Faction/Leader: Remember how in The Wild Hunt Niflgaard was basically so OP it could curb stomp anything, this is not the case in Gwent. While the balance is not perfect it is much more well... balanced. As an example I play a Monster Deck, as generally I like the direct power it affords me and the control options in the style I play. My friend plays as an Elf due to its tricky nature and ability to surprise. Which for a deck like mine is without any doubt a pain to deal with. Others play other ways and there is a lot of options to do so, even more so now with the changes to the Leaders that are being made in the run up to the Open Beta. The key is to figure out what style you like and build it up. Unlike Hearthstone the game doesn’t really force you to play with decks you are not comfortable with. Generally speaking you can stick with what you like and never move away from it, fine tuning your personal deck to be the best it can be. On the other hand you can be very variable and play around with different Leaders and card pools, play the way you want to play. Play Unranked: I do not know this for sure, however I have a feeling that unranked for a time will be a refuge for new players. In Gwent there are two ways of getting Ore (gold) quickly early on and that is leveling up and ranking up. As each has bonuses attached to them. As more skilled players from the closed Beta will automatically have a better deck then you they will likely play ranked, while the new players should stick with unranked at least for a time. As unranked is where you will find people of equivalent skill and hopefully decks as well, CD Projekt Red implies the rankings try to place people of equivalent skill AND deck value. This allows you to get a feel for the game and earn Kegs (packs) in a less aggressive arena. Furthermore and this is just my personal experience, people tend to be less dickish in unranked. Count Cards: I don’t mean you have to be Dustin Hoffman in Rain Man here as honestly that skill is kind of worthless. However keeping track of how many particular “Tiers” of cards are played is important. In Gwent there is three “Tiers” of cards: Bronze, Silver, and Gold. Bronze are unlimited and constitute the bulk of a deck by seeing what Bronze a person is playing early on you can see what kind of deck they play. Furthermore any deck can have up to three Bronze Cards of each type included, the only Tier that is able to be repeated. Silver Cards are much the same only far more useful, as a player is limited to only six Silver cards in their deck. Making inclusions of some particular Silver cards dead giveaways to a decks play style. Finally Gold Cards are often the rarest and most powerful cards in the game. Gold cards with few exceptions are immune to Spells and Creature Effects making them nearly impossible to remove under normal circumstances. Furthermore they have the strictest limits at only four in a deck. Again with a few exceptions an opponent playing a Gold Card in an early round can be a great sign for you as these cards can be powerful enough to shift rounds and even the game. Know When to Hold Em, Know When to Fold Em: One of the biggest differences between Gwent and other popular CCG’s is the inclusion of rounds. As a best of three game, Gwent forces people to constantly consider their position and act accordingly. As a well timed fold can change the direction of the game. This is because after the game begins with the three mulligans you only get the chance to pull three more cards naturally. With this limit in mind you can often build a sizable card advantage going into the final round depending on how and in what situations you fold, while not assuring you victory it helps you immensely. Furthermore folding can be an effective chance to clear a scary board of get rid of a pesky card, just watch out for revival effects. Know How to Use Scorch! This one is simple but kind of key at the same time as Scorch and Scorch related cards are the single best form of board control with the common changes in the Open Beta. Scorch removes the most powerful card(s) from the board, I’ll repeat from the board. The ENTIRE BOARD. Unless otherwise indicated such as the Geralt: Igni Card this can mean your side. Making Scorch an incredibly powerful card but one that can burn you just as easily. It forces you to remain aware of all the cards on the field so you don’t accidentally burn yourself. Furthermore if there two cards each with the highest value they both will be destroyed regardless of position. Forcing the Opponent: Like any CCG a key skill to being competitive is knowing how to “Force” an opponent. Namely, forcing them to do something they otherwise would not wish to do at that time. One easy way of doing this is by putting down a card they have to deal with right away or else face the consequences throughout the game. Many cards especially in the strongest Gold Tier of cards will be able to do this admirably, other lower tier cards can do so too especially if they can snowball and end rounds. With the Open Beta starting tomorrow May 24th, 2017 Gwent is changing for everybody with new cards and extremely huge changes. However for those new players who are considering dipping their toes into this wild and fun game I hope this helps. If you have any questions don’t hesitate to ask in the comments and let me know what you think if you were in the closed Beta too. Gwent: The Witcher Card Game Open Beta is for PS4, Xbox One, and PC. Also if you liked this I’m considering write a Key Card Crafting Guide. Let me know if anyone would like that. As while things are changing I have a feeling some key cards will remain quite valuable. You’re reading TAY, Kotaku’s community-run blog. TAY is written by and for Kotaku readers like you. We write about games, art, culture and everything in between. Want to write with us? Check out our tutorial here and join in. Follow us on Twitter@KoYTAYkuand Like Us on Facebook.